Jungian analysis, psychotherapy, clinical supervision, eating disorder treatment Brighton, Hove, Sussex. Do you need to talk to a professional? Have your problems gone beyond what you feel able to cope with? I am an Jungian analyst, experienced psychotherapist, and psychotherapy supervisor. I have been in private practice as a qualified psychotherapist for over twenty years, . I have been a Jungian analyst since 2011. I also have over fourteen years experience of working in the mental health field, and consequently I have a wealth of experience to offer. I am registered with the British Psychoanalytic Council (BPC), United Kingdom Council for Psychotherapy (UKCP), and I am a member of the International Association of Analytical Psychology (IAAP). I offer psychotherapy and Jungian analysis at my Brighton and Hove, practice in Sussex. Some concessionary fees are available during office hours. I can also provide sessions via Skype if attending sessions in person is not feasible on a consistent basis. Counselling has become something of a generic term but the therapy I offer in my Brighton and Hove practice, is generally in greater depth than most counselling generally available, and my training has been much more extensive. "Wholeness is not achieved by cutting off a portion of one’s being, but by integration of the contraries." "People will do anything, no matter how absurd, to avoid facing their own souls. One does not become enlightened by imagining figures of light, but by making the darkness conscious." I work with individuals with a wide range of presenting problems such as anxiety, depression, bereavement, trauma, eating disorders, work and relationship difficulties. I see a lot of people with relationship issues, sometimes they feel there is something about their past, such as childhood trauma, which is affecting what they expect for their relationship. Others suffer from loneliness, and feel incapable of finding or keeping a partner. Stress and anxiety are all too common in today's society, and I have worked with these issues in their many different manifestations over the years. Loss is part of all our lives to some degree. Unresolved feelings about past losses can create a backlog which then makes coping with more major losses such as bereavement, redundancy, or relationship breakdown, very difficult to cope with. An emotional crisis, or irrational fears, which reaches a point in which your ability to cope with your world completely breaks down could have a multitude of issues as the root cause, but whatever the reason the effect can be devastating. Eating disorder is becoming increasingly common. Through my work at Capio Nightingale Hospital in London, the Priory Hospital in Chelmsford, and my private practice, I have worked with many people suffering from compulsive/ binge eating, bulimia, and anorexia nervosa. Eating disorders covers a spectrum from anorexia through bulimia and binge eating to compulsive eating. I have experience of working with all aspects of this spectrum, and people can occupy different places on it over time. I mostly see people suffering from anorexia, binge eating and bulimia, but I have also worked with compulsive eaters. I offer treatment for eating disorders in my Brighton and Hove practice. The treatment I offer aims to address the underlying issues, not just the symptoms. Body image distortion is often an aspect of eating disorders, particularly in anorexia, which is an issue we will address. 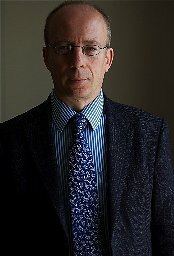 I am particularly interested in the treatment of and recovery from eating disorders, and it is an issue and have written about (see side panel). Eating disorders involve a disordered relationship with food, such that the food plays a role in the life of the individual which is not, or is not solely, one of nutrition. Treatment of an eating disorder needs to be in person, Skype sessions would not be appropriate. Please contact me to arrange sessions at my private practice in Brighton Hove. Depression is a condition which can effect us all at some time in our lives. Sometimes unexpected events plunge us into the depths of depression for a while until we manage to eventually surface again. For other people depression is an ongoing reality with which they struggle. I have long experience of providing treatment for depression. Abuse comes in many forms and always leaves pain and damage in its wake. Abuse at any stage of our lives can be a harrowing and traumatic experience. Trauma therapy for such experiences must be done with care and sensitivity. Personality disorders are often the result of early childhood abuse and/or neglect. I have worked with these issues, and particularly borderline personality disorders, both within a therapeutic community context, and in private practice. I am experienced in treating a broad spectrum of presenting problems, but you may not be able to identify what your problems are, rather you have a vague feeling of being blocked and that your life is limited, stunted in some way. Perhaps you feel locked into repeating patterns of behavior, that your creativity is blocked, or that your life is devoid of meaning. I encourage you to contact me and together we can discover the most appropriate therapy for you. Short term goal focused psychotherapy is appropriate for specific issues. While short term it operates at a greater depth than counselling would over the same period. Explorative psychotherapy/ Jungian analysis involves a longer term commitment, and perhaps more than one session a week, to work on deeper entrenched issues that endogenous depression, trauma, abuse, anorexia or bulimia, generally involve. 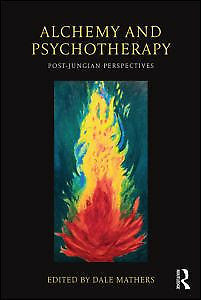 Counselling is a term which is often searched for in looking to resolve personal problems, but Jungian analysis, goes far deeper than a counselling model allows. Jungian analysis involves a journey of self discovery. It is an inner journey into your personal depths which will ultimately be enriching and life enhancing. Dreams, fantasies and other manifestations of the unconscious are given special attention, and the meaning or lack of meaning life holds, is explored. The feelings you have, the images you create, and the personal experience you have of living your life, provide the fabric of this endeavour. The goal of the work is a feeling of wholeness and of being the one unique individual one is meant to be.